The underwater of the Adriatic shows many shipwrecks, strong storms and battles. The so-called underwater museums keep valuable cultural heritage in situ, that is, ''on site'' and enable coexistence between cultural-historic heritage and mass tourism. We present you part of the eight ancient sites which are preserved with special steel cages which they got their name from - underwater museums. 1. Za Planiku, Lastovo island – The first underwater museum of this type. ''Founded'' in 1990, this museum keeps the remnants of an ancient shipwreck with the cargo of amphora from the 1st century B.C. Thanks to the colorful endangered and preserved flora and fauna, Lastovo deserves to be on the first place of the ''must do'' list of dives. 3 - 4th century B.C. ''created'' the underwater museum at around 30m of depth, which is because of its findings the first Croatian underwater archaeological park. The steel cage of the museum keeps the valuable amphorae with more than 1000 preserved North African type of amphora for diving and archaeological fans. 3. 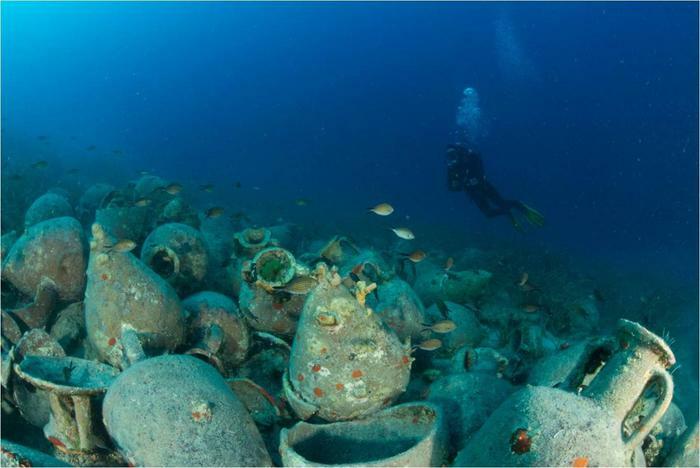 The cove Koromašna, Žirje island – Before more than 2000 years ago an ancient ship in the Šibenik archhipelago turned into a underwater museum and offers all the curious ones two types of amphora from the 2nd century B.C. 4. The cove Vlaška mala, Pag island – Along the east coast of Pag island the underwater museum presents the remnants of an ancient shipwreck from the 1st century B.C. along with the cargo, amphora and other objects belonging to the equipment of the ship. The remaining ancient underwater museums will be presented soon, besides the ancient sites, the bottom of the Adriatic has 1500 undiscovered caves as well as ships and planes from the past wars, anchorages, ports and drowned cities.